Mayor Rahm Emanuel and Chicago Housing Authority Acting Chief Executive Officer Eugene Jones, Jr. announced the plan for an additional 450 Housing Choice Vouchers for U.S. Veterans. The CHA will provide up to 150 vouchers per year, through 2018, to house veterans enrolled in Supportive Services for Veteran Families (SSVF), a program funded by the United States Department of Veteran Affairs (VA). 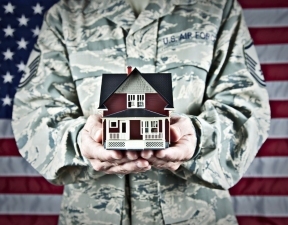 Currently, CHA has 1,053 Veterans Affairs Supportive Housing (VASH) vouchers. In addition, CHA supports 253 homeless veterans through its Property Rental Assistance program, which includes six properties and four developers that provide services. The SSVF program is administered through various local non-profit organizations to provide supportive services for low-income veteran families residing in or transitioning to permanent housing. These services are designed to increase the housing stability of veteran families who are at-risk of or experiencing homelessness. The CHA Board of Commissioners will vote on the additional vouchers at its monthly meeting on Tuesday, November 17.